Registration deadline looms for the 15th Annual IAMA (International Acoustic Music Awards); this is great opportunity for music artists everywhere. IAMA is the preeminent awards for musicians, promotes excellence in acoustic music performance and artistry. Acoustic artists in various genres can gain exciting radio and web exposure through this competition. Participating sponsors include Acoustic Cafe and Sirius XM Satellite Radio. Music artists stand a chance to win awards in eight different categories: Best Male Artist, Best Female Artist, Best Group/Duo Folk, Americana/Roots/AAA, Instrumental, Open (any musical style or genre), Bluegrass/Country, etc. There will also be an Overall Grand Prize winner awarded to the top winner worth over US$11,000, which includes radio promotion to over 250 radio stations in US and Canada. IAMA is sponsored by: D�Addario Strings, New Music Weekly, Loggins Promotion, Airplay Access, Aspri Reverb, Sirius XM Radio, Acoustic Caf� Radio Show, Bandzoogle, MixButton, MusicGateway.com, Kari Estrin Management & Consulting, and Sonicbids. In its 15th year, IAMA has a proven track record of winners going on to get signed and hit the Billboard Charts. Meghan Trainor was discovered by IAMA seven years ago and is now a global superstar with #1 hit on the Billboard Hot 100 Charts with "All About That Bass" (#1 for 9 weeks) and #1 on The Billboard 200 Charts with her debut album "Title", won for a Grammy award for Best New Artist in 2016. Meghan hit #46 on the Billboard Charts again this year again with "No Excuses". Meghan has a staggering 9 songs so far on the Billboard Hot 100 Charts so far, enough to release a "Greatest Hits Album" in her young career. The 2nd Annual IAMA winner Zane Williams�s winning song was recorded by country music star Jason Michael Carroll, that song hit #14 on Billboard Country Charts and #99 on Billboard Hot 100 Charts. Jeff Gutt, a finalist at the 9th Annual IAMA was a runner-up on X-Factor USA. Charlie Dore (known for her #1 hit �Pilot of the Airwaves�) was the top winner in 2008. 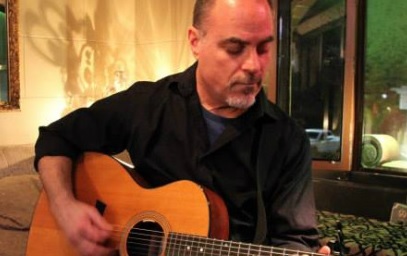 Los Angeles based singer-songwriter Kevin Fisher (see pictured) won top honors at the recent 14th Annual IAMA (International Acoustic Music Awards) with his song "Beer Me", he wrote the song with Brett Boyett. The song hit #4 on the UK HOT DISC charts. He is a multi-platinum selling songwriter. Rascal Flatts, Sara Evans, Uncle Kracker and many others have recorded his songs. As and artist himself and a writer for others, his songs are being played all over the world. His music has been featured on TV (True Blood, Pretty Little Liars, America's Funniest Home Videos, etc). Tom Chapin, brother of late great legendary folk singer Harry Chapin, won Best Male Artist with his song "Fair Pay Fair Play Blues". Other notable finalists include Bertie Higgins, known for his #1 hit "Key Largo" and Top 10 hit "Just Another Day in Paradise". Singer-Songwriter Priscilla Hairston was also a finalist, who has written hit songs for Kelly Clarkson, Mariah Carey, Fifth Harmony, Rihanna and more.